Get your CAD the way you want it. Want a permanent license instead of a subscription? No problem. Need a USB hardlock? No problem. Using a 4K monitor? Also, no problem. Equipped for drafting, viewing, editing, printing, and rendering native .dwg/.dxf files, CAD.direct Drafting is ready for CAD users everywhere. 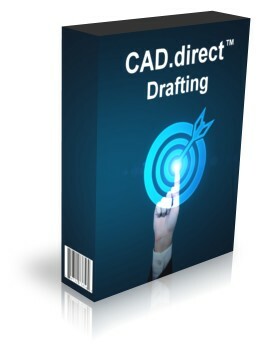 CAD.direct Drafting is based on the IntelliCAD engine and delivered by ITC member BackToCAD.